In Slovenia, the situation of children is good, for the most part, for many years now, the country has adopted important measures and continues its efforts to guarantee and to protect Human Rights, specifically, Rights of the Child. However, serious problems (discrimination, domestic violence, human trafficking…) persist and require attention from Slovenian authorities. In Slovenia, some groups or minorities are victims of discrimination, in particular the Roma minority and non-Slovenians of the former Yugoslavia. 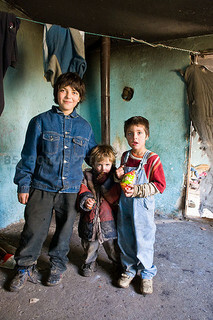 Slovenia has adopted many measures to eliminate the discrimination towards Roma communities. This is the case of the national program in favor of the Roma for 2010-2015. Nevertheless, the Roma minority remains marginalized and still victim to discrimination, notably in housing, health, education, and employment. Moreover, prejudice and hostile attitudes towards the Roma community persist, particularly in the realms of politics and media, even though the Slovenian penal code criminalizes racial hate. In February 1992, more than 25,000 people had been removed from the Slovenian registry of permanent residents, mainly people with origins of other republics of the former Yuglosavia that were living in Slovenia, but had not acquired the Slovenian nationality after its independence. In March 2010, Slovenia adopted a law governing the legal status of these people called the “erased”. However, the situation of non-Slovenian former Yugoslavians (including Albanians, Bosnians, Macedonians, and Serbians) remains precarious in Slovenia despite several convictions from the Slovenian Constitutional Court and a decision of the European Court of Human Rights in June 2012, saying this practice is contrary to human rights. Indeed, the legal status of non-Slovenian citizens of former Yugoslavia remains suspended: they have difficulties in exercising their social and economic rights, particularly with access to health services, social security, education and employment. Slovenia is a country of origin, transit and destination for human trafficking. The first victims of this trafficking are women and children, who are often sent to Western Europe, particularly Italy and Germany where they are forced into prostitution. Despite Slovenia’s efforts to prevent and punish trafficking, the problem persists and the victims are still numerous. In Slovenia, violence against women and children is still widespread. In the first half of 2011, for example, more than 1000 cases of domestic violence and more than 350 cases of parental negligence and child abuse were reported. 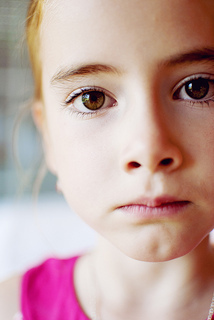 Children continue to be victims of trafficking in Slovenia. Even though school is mandatory until 14 years of age, many children from the Roma community do not reach secondary schooling. Poverty, discrimination, the lack of parental and familial support and also the language barrier, are some of the many obstacles for Roma children in going to school. The discrimination in schools and the absence of scholarly programs, inclusive and multicultural, goes against the right of education of children. For example, the languages spoken by the Roma are totally absent from schools, unlike some other minority languages in the country. Roma children also face difficulties related to educational materials and the extreme poverty in which the community often lives. Children are, for example, often incapable of doing their homework or studying in their cold, overpopulated homes, and sometimes are without electricity. The difficulties that are faced by Roma children in education is also to do with the lack of education materials along with the extreme poverty in which they live.